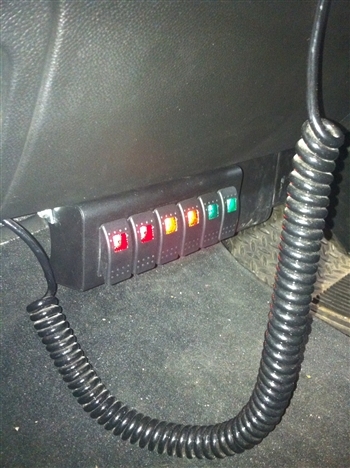 Universal System for use in many trucks and UTVs. 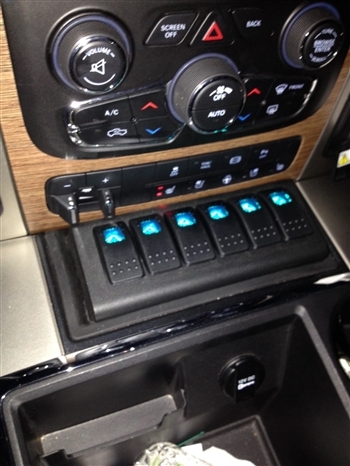 This system includes a 7 inch mini switch panel. 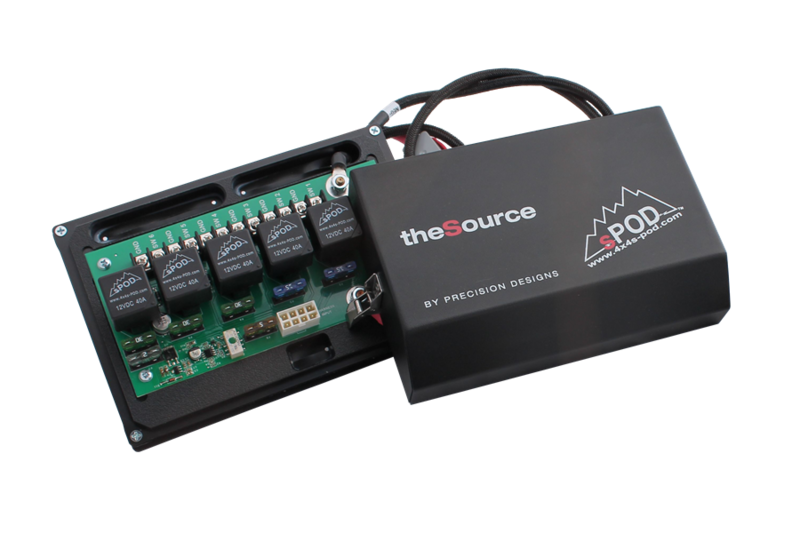 The sPOD switch panel is easy to install and arrives with switches installed and wired for plug and play ease. 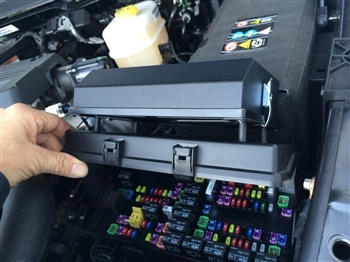 The Source mounts to top of fuse box lid using supplied bracket and hardware. Minimal cutting and drilling required. 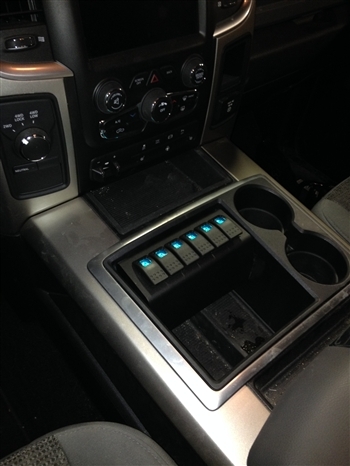 "NOTE" Please be aware that this panel may NOT fit some Dodge RAM 1500, 2500 or 3500 from 2016 - 2018! Please send us a picture of the cubby for us to verify fit.